Sometimes I think that the game of Bridge is a little like a Math class. If you are the opening bidder and bid One Spade with twelve points, and your partner replies with a bid of Two Spades which shows six to nine points. Let’s see: Twelve plus 6 equals 18, 12 plus 9 equals 21 points. Game is not there. You now Pass. If your hands are stronger, bidding gets more interesting. You have twenty-two points and you open the strong Two Clubs. Partner gazes down at her hand. Wow, twelve points and she knows you have at least twenty-two! Twenty-two plus 12 equals at least 34. Slam territory. Now partner must reduce her pulse and go slowly. I returned the smile, saying something like “Well, you certainly made sure that we didn’t miss a game.” We made six tricks. What her bidding had told me was that she had lots of Spades but not many points. So I couldn’t know that we had a possible slam hand. If the responder has absolutely no points herself, that is no Ace, no King or not even two Queens (don’t even consider Jacks), she bids an artificial Two Hearts to show a “Bust” hand. This says nothing at all about Hearts. Using this method, the responder will not bid again. The opener will bid the contract she thinks she can make without her partner’s help, and the responder passes. After your strong Two-Club opening, one of the problems that arises from not using the “Two Hearts Bust” convention is that the partnership doesn’t have enough points for a game and gets doubled and incurs a hefty penalty. Another scenario is that responder feels desperate because she has absolutely nothing in her hand and passes, even though opener has made a forcing bid. You, the opener, may have thirty points and a game in your own hand. This may have been the only decent hand, you’ve had all day. You will be very, very unhappy if responder passes. If responder does not have a “Bust” hand but has some values, she may choose to make the artificial bid of Two Diamonds. This says nothing about Diamonds. It is simply a bid that is forcing to the game level and asks opener to describe her hand further. If responder has a five card suit and at least eight points, she will not bid the artificial Two Diamond bid, but will bid her best suit. This is known as a positive bid. She will bid this suit without a jump. (If her suit is Hearts, and she is playing that Two Hearts is a “Bust,” she bids Two No Trump to show Hearts. A jump is not necessary because the opener is committed to going to at least game with her partner’s positive bid. The opener answers, either supporting partner’s suit or bidding a new suit of her own. When a suit is agreed upon, one of the partners can begin a cue-bid sequence to ask for controls. We’ll talk more about cue-bidding in a future column. At this point, they may settle for game or bid Four No-Trump to ask for Aces. This is the Blackwood Convention which is used when bidding a slam in a suit. 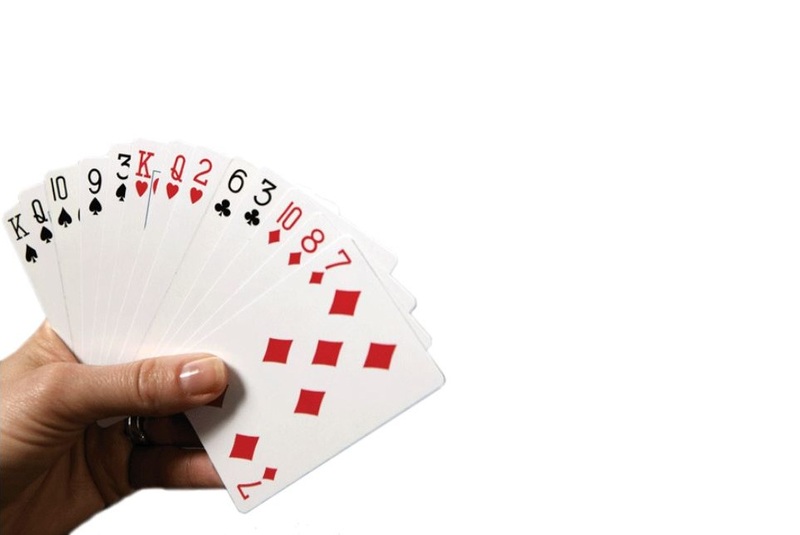 Partner will respond Five Clubs with zero or four Aces, Five Diamonds with one Ace, Five Hearts with two Aces, or Five Spades with three Aces. Only bid Five No-Trump to ask for Kings if you have all the Aces. Good luck in making your slam. Games are at the Active Living Centre on Thursdays at 7 p.m. in the multi-purpose room on the second floor (elevator) at the back entrance of the Canada Summit Centre. Just come – with or without a partner. Monday, March 18, 2019 Winners: 1. Gary Irving & Scott Staples, 4,130 points; 2. Louise Kirbyson & Joan Frost, 3,770 points; 3. Els Vandenberg & Peter Rhead, 3, 080 points. Games for the Bracebridge Club are Mondays 7pm, Knox Presbyterian Church, 120 Taylor Road. Please arrive with your partner 10 minutes before game time.